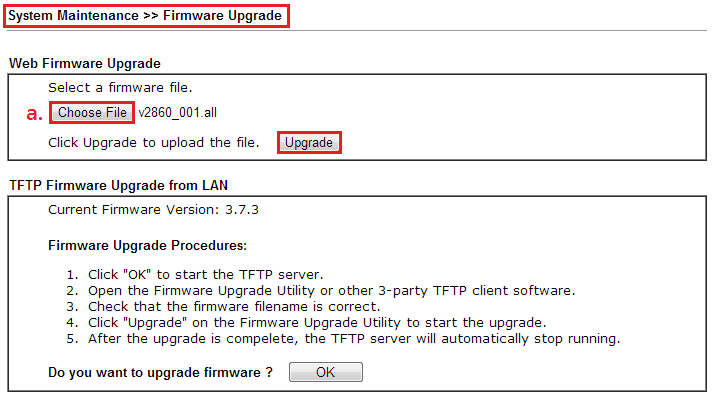 Go to System Maintenance >> Firmware Upgrade to select the firmware file and upgrade firmware. Click Upgrade to execute upgrade. Click Choose File to select the firmware file. After finishing the upgrade, the following figure will show up. Please click Restart to reboot the router.